"A perfect Android theme for this winter!" 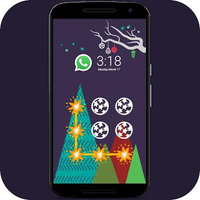 Game Goal: It is an animated theme for Sony XPERIA phones with which you can customize your Android to give you a beautiful winter touch. Functions: With this theme you can modify many elements, such as the bottom of the start menu, lock screen, icons for apps and games, colors or buttons. Graphics: It has a beautiful animated background with a snowy landscape ideal for the colder season of the year. Rating: The TOP 1 Most popular themes in Winter Theme category. 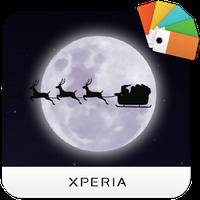 Do you like XPERIA™ Magical Winter Theme? Android Themes Themes Christmas Themes Nature Themes Winter Theme Merry Christmas! Romanticism will invade the screen of your smartphone!